After the crucifixion, death, and resurrection of Jesus Christ, the number of Christians began to grow steadily. The rulers of the Jewish Sanhedrin viewed this development with alarm, and determined to put an end to all this nonsense, having convinced themselves and their followers that the so-called Messiah’s resurrection was a sham designed to fool potential followers of the sect of Christians. Among those mobilized to persecute the Christians wherever they were was Saul of Tarsus of the tribe of Benjamin, who belonged to the rabbinical school of Gamaliel, the most revered rabbi of his time. Gamaliel, in turn, had been a student of the venerable rabbi Hillel, known as one of the greatest of the pharisees. It is interesting to note that while the rabbi Gamaliel exhibited a more benign attitude toward the Christians (Acts 5: 33-39), Saul and some of the hotheads of the Temple proceeded to terrorize the Christians. One of their most significant victims was St. Stephen, who we venerate as the first martyr to die for Christ after His resurrection. (The first martyrs to die for the Messiah would most likely be the Holy Innocents, the young babies ordered killed by Herod who reacted violently to the news of the birth of the prophesied King of the Jews.) Saul presided over the stoning of St. Stephen, even acting as custodian of the cloaks of those who killed the first martyr (Acts 7:58). The martyr Stephen, who was also said to have been a student of Gamaliel before taking on the new mantle of disciple of the Christ, saw his martyrdom as a gift, a chance to emulate his Lord and to die for the new Faith. But he also forgave his tormentors and prayed for Saul, predicting that they would soon traverse the path of the Way together. Little did Saul know that this prayer of the dying martyr would become a reality when Our Lord decided to knock him off his high perch and use him as Apostle to the gentiles, missionary to the nations. Saint Paul’s father also belonged to the sect of pharisees, and it was natural for his parents to seek the best education for their son, which was to be held in the Temple, under the tutelage of a great teacher. Tarsus was the capital of Cilicia by an act of Pompey when he reorganized Roman Asia Minor. Later on, Mark Antony bestowed freedom and Roman citizenship to residents of Tarsus, which was unusual in a period of colonization and conquest which found most of the subjugated people treated as nothing more than slaves or servants. It was this fact of being a Roman citizen that allowed him to ask for an audience before Caesar to plead his cause, and that also gave him the (dubious) benefit of a swift execution when he was martyred in Rome at the end of his spiritual journey. After the death of Stephen martyr, Saul endeavoured to carry on his grim task of rooting out and destroying members of the hated sect of Christians. He obtained permission from the high priest to lead the charge against the Christians, dragging them in chains out of their houses and imprisoning them. By this time, therefore, the radical Saint Paul had obtained a reputation for being one of the most fearful persecutors of the Christians. When he headed off for Damascus in that fateful journey, he had in mind only one thing: the elimination of the Christians. 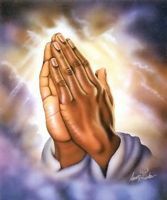 But, as the saying goes, the ways of God are different from the ways of man. God’s eternal plan involved using this chief persecutor of the Christians as His primary instrument in bringing the Faith out to the far reaches of the empire, to the lands of the Gentiles. Imagine, therefore, the fright and amazement of Saul when he was struck blind by a blaze of light and heard Jesus speaking to him. 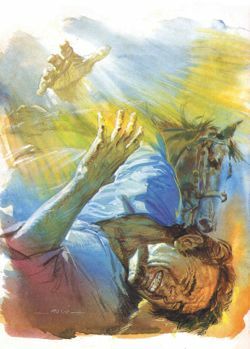 In a way, one can consider this encounter of Paul with the light of the risen Christ as his encounter with the truth of the Faith, and his being struck blind was Jesus’ way of knocking him off his high horse, literally, and forcing Paul to rely on the beneficence of one who he had set out to persecute to restore his sight. We know the rest of the story, how the now humbled and contrite Saint Paul tried to convince the Christian communities that he was no longer their persecutor, but chosen by Christ himself to be a disciple and missionary for the new Faith. Little did he know of what was in store for him: three missionary journeys, countless rebukes and physical punishment, rejection, and many hardships. But through all these, Saint Paul strove to follow the will of God and “fight the good fight,” knowing that the crown of salvation would be his at the end. Those Catholics who get involved in the field of Apologetics (defending the Faith and explaining it to believers and non-believers alike) know that our separated Christian brethren show a particular preference for the books attributed to Saint Paul over other books in the New Testament. In fact, many of them stress that Paul “explains” the Gospels better, to the extent of sometimes twisting the message in the Gospels as enunciated by the four evangelists, because they see different in their interpretation of Paul. But as any serious student of the Bible can see, explanations abound in the books of Saint Paul themselves that confound or repudiate the arguments posed by our separated brethren. Saint Paul is honoured by the Church as one of its founding fathers, equating him with the other Apostolic Fathers. Saints Peter and Paul are seen as twin pillars of the Church, one as the first Pontiff and the other as the indefatigable missionary to the nations.